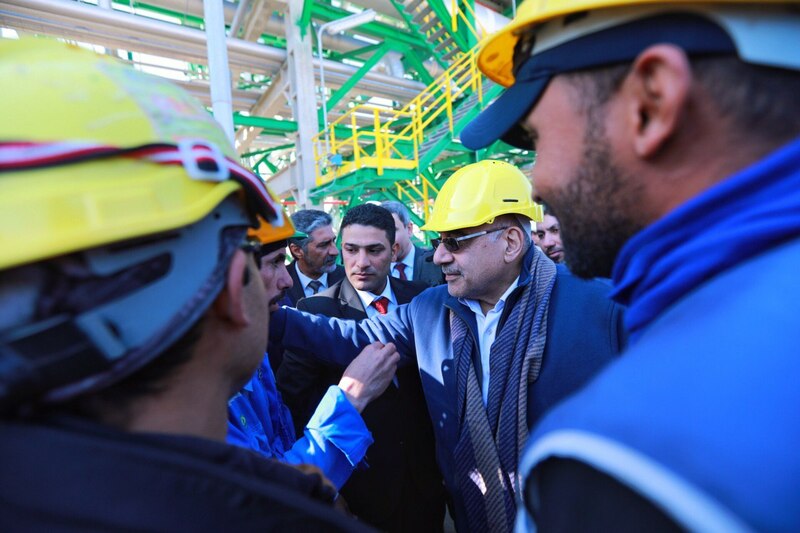 His Excellency Prime Minister Adil Abd Al-Mahdi inspected the gas projects in the Zubair oilfield and the under construction northern gas separation plant. His Excellency met with supervisors, engineers and labor cadres to identify the percentages of achievement and work obstacles, His Excellency commended their efforts. His Excellency held a tour in the gas project, the electric station and the training center and facilities attached thereto, His Excellency directed to overcome obstacles and accelerate the work in these projects.